This Light Green Ikkat Dress Material is hand woven add a unique luster to this traditional dress material. 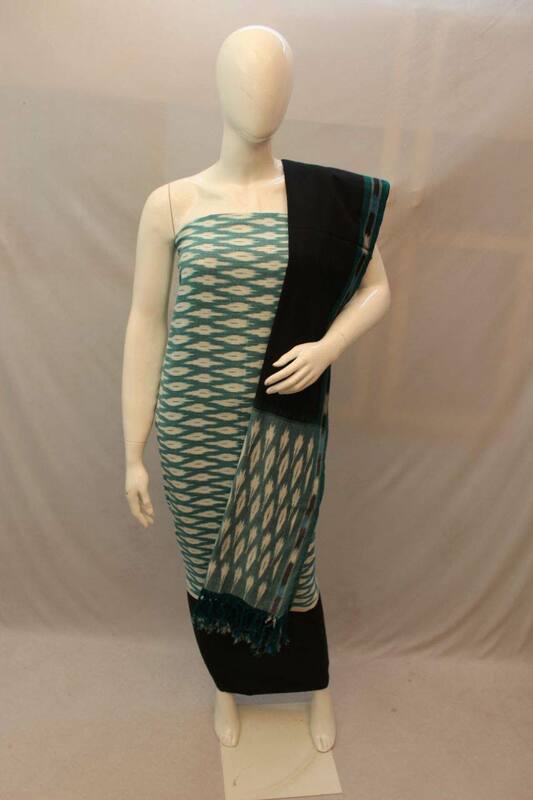 This Handloom Dress Material comes along with Black coloured Bottom and Light Green and Black colored Duppatta. This Handloom Dress Material is soft and comfortable to wear. Accessorise this Handloom Dress material with jewellery of your choice.